A new mice model carrying a COL4A5 gene mutation that mimics many of the clinical features of human X-linked Alport syndrome was developed by Japanese researchers. These animals can now be used to better understand the underlying metabolic and biochemical mechanisms involved in the development and progression of this rare disease, and to design and test targeted therapies. The mice model was described in the study, “Establishment of X-linked Alport syndrome model mice with a Col4a5 R471X mutation,” published in the journal Biochemistry and Biophysics Reports. Alport syndrome is genetic chronic kidney disease (CKD) characterized by the development of renal symptoms during early life and progressive impairment of renal function, ultimately leading to end-stage renal disease (ESRD). This disease is known to be caused by genetic mutations affecting genes that encode the alpha chains of the type IV collagen molecule. 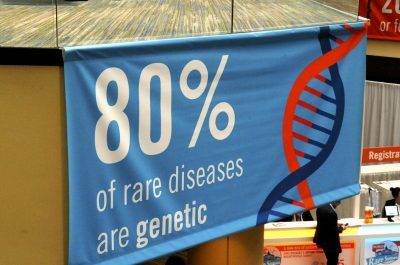 More than 80 percent of patients with Alport syndrome have X-linked disease, also known as XLAS, caused by a mutation in the COL4A5 gene, located at the X chromosome. The remaining patients have mutations COL4A3 or COL4A4, genes located at chromosome 2. Although the cause of the disease has been widely explored, it remains unclear how it progresses to ESRD. Previous studies have suggested that the severity of the disease is directly linked to the position and type of mutations that cause it. Still, given the large variety of mutations reported, this genetics-disease severity relationship has not been well-explored. A team led by researchers at Takeda Pharmaceutical engineered a new mice model that carried a Col4a5 R471X mutation that had been previously described in a patient with Alport syndrome. They selected this particular COL4A5 mutation because the male members of the affected family that had this genetic variant showed typical clinical and biological findings for XLAS. “It is important to verify this relationship using Alport syndrome model animals possessing patients’ genetic variations,” researchers said. Taking advantage of state-of-the-art genetic manipulation methods, such as the CRISPR/Cas9 system, the researchers created mice harboring the R471X mutation. The presence of the mutation led to a significant and sustained reduction of Col4a5 levels compared to healthy animals. Analysis of kidney tissue confirmed that the mice lacked the alpha 5 chain of the type IV collagen molecule. The onset of the disease was slower in these animals than previously described for other models of Alport syndrome. Further confirming the harmful effects of this genetic variant, the mice showed impaired renal function, with progressively increasing levels of blood urea nitrogen and creatinine with age. The levels of urine albumin also significantly increased with age. Evaluation of the kidney tissue showed marked structural changes in the kidney’s filtration units, consistent with the finding often seen in patients. 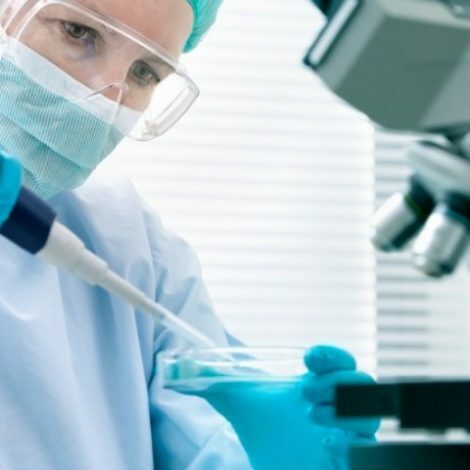 In addition, it may be a useful model “for the pre-clinical study of pharmacological therapies for patients with Alport syndrome and other various kidney diseases, including CKD leading to ESRD,” researchers said. Tagged COL4A5, genetic mutation, mice, Preclinical model, R471X, takeda pharmaceutical, X-linked Alport syndrome (XLAS).